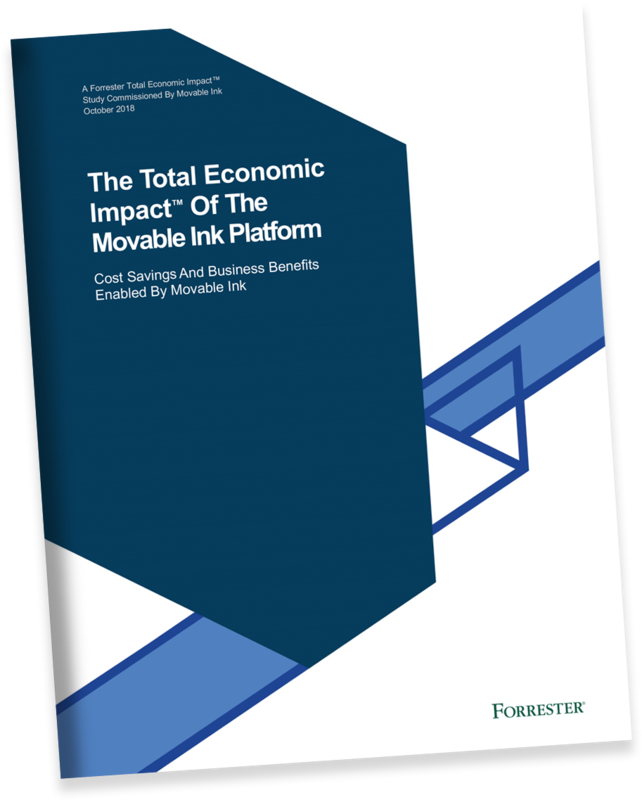 Learn how Movable Ink can generate millions in revenue and an impressive ROI by improving campaign performance, cutting production costs, and reducing time to market. "Because of the capabilities that Movable Ink provides, we're able to deliver content that resonates with customers at an individual level. We're able to do this at scale. With our previous process, we would never be able to create the number of variants necessary to do anything like this." With the investment in Movable Ink, email teams gained the ability to message to customers on an individual basis. Personalized content performed substantially better, with click-through rates (CTR) rising more than 125% for some segments. At the same time, because Movable Ink content is generated automatically from existing creative and data sources, less work and rework was required to execute an email campaign. "The reality is that a number of campaigns wouldn't exist without Movable Ink"